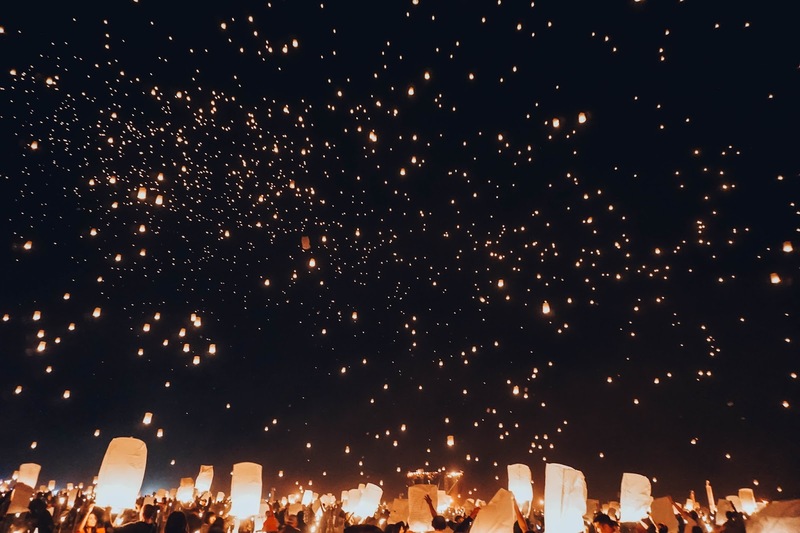 RISE is more than an event. It’s an experience. And it begins the moment you arrive. Tyler and I drove down to Vegas on Friday afternoon for RISE Festival. 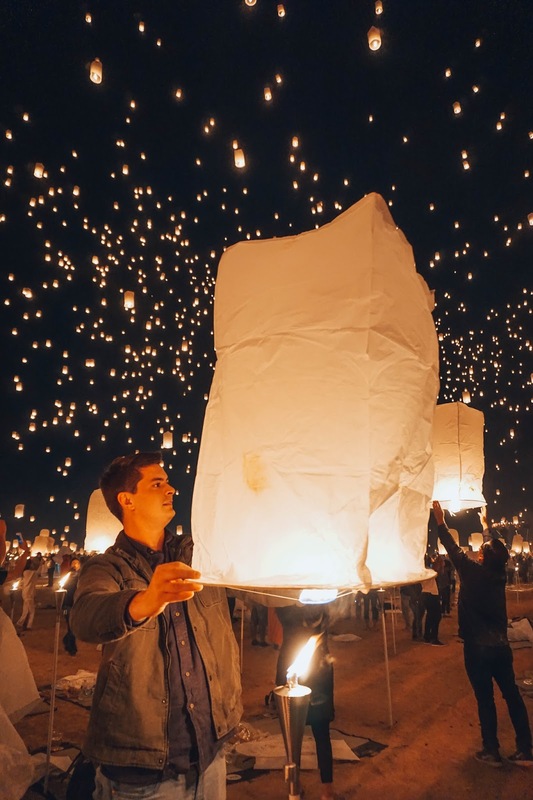 I have never been to Vegas before so I’m pretty excited to see Vegas and the lantern festival. 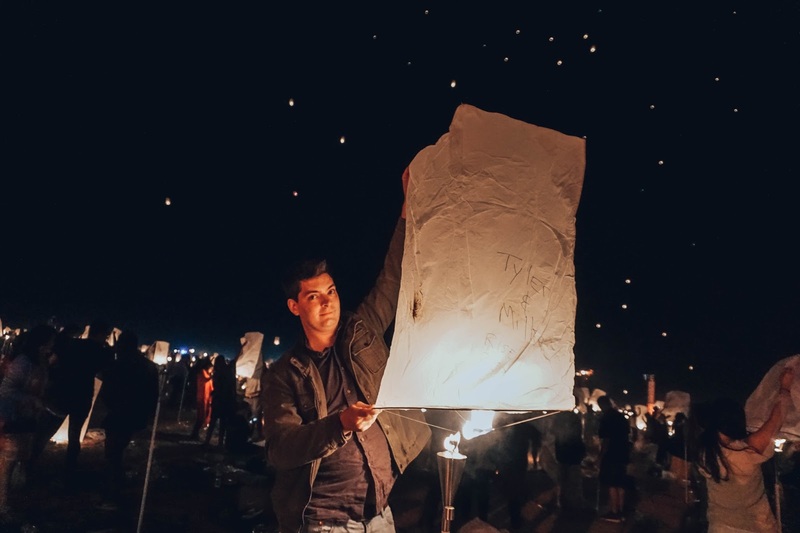 You’ll receive two sky lanterns, your own bamboo mat (it’s yours to keep), and plenty of time to enjoy the experience. 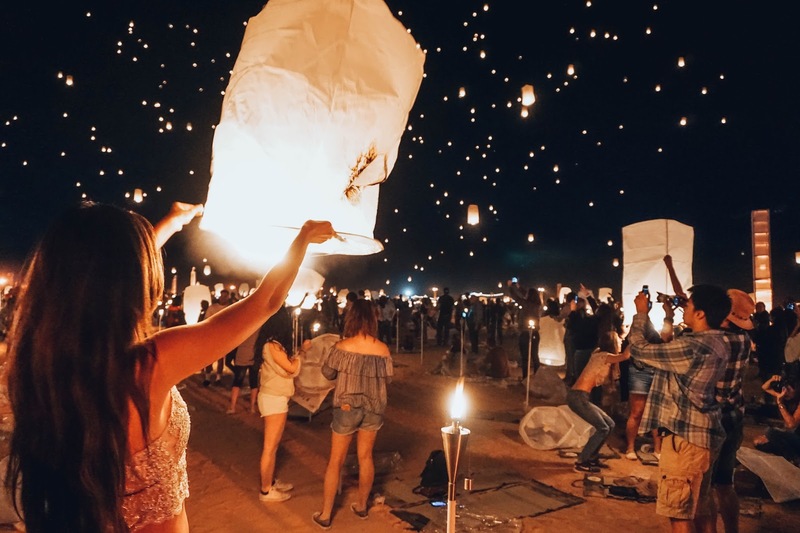 For the first hour you will listen to live music, eat some good food, visit with friends and family or just reflect as you write your prayers, dreams, and wishes on your lantern. 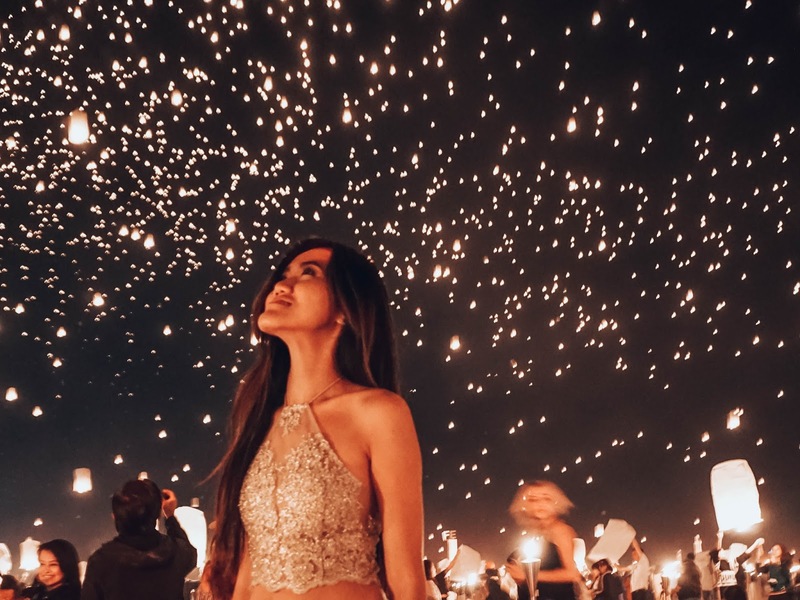 I was very speechless, happy, and amazed at the same time to see all the lanterns floating in the sky. Purely magical and made me teared up little bit especially when I was able to enjoy this moment with Tyler. People can always be a distractions, but when you focus on one thing and living the moment you will feel it. Wow love this kind of activities, I never had tried to witness sky lantern spectacle, this would we so extravagant. 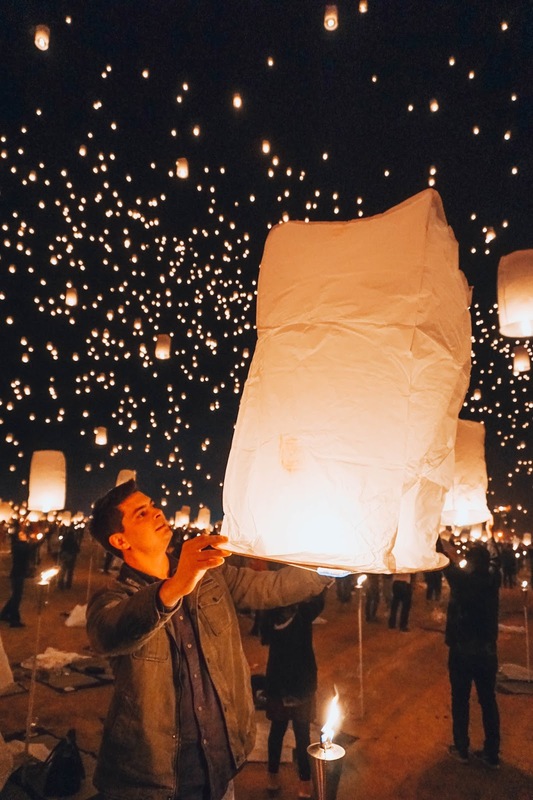 It reminds me of the anime film I used to watch about lanterns and this one looks really identical. What a great event! 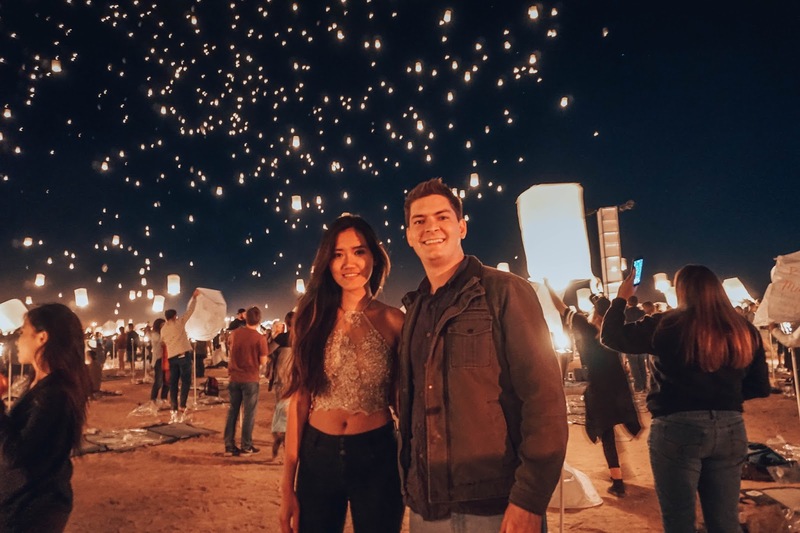 Love the lanterns filling up the sky. Gorgeous! This looks so beautiful! What an amazing experience! 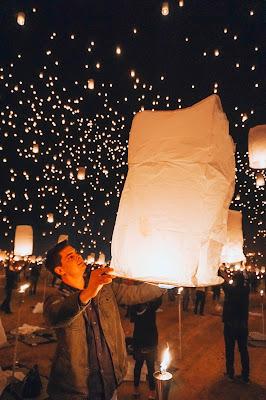 Attending a lantern festival is on my bucket list! 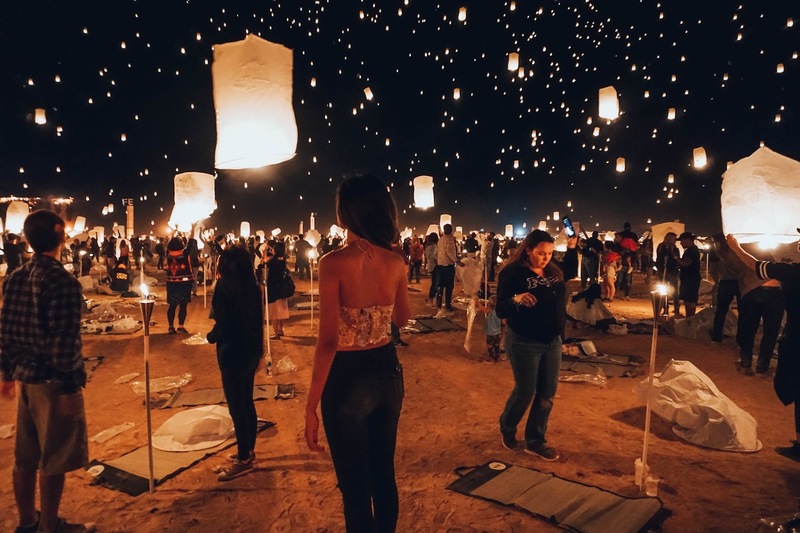 I've seen so many pictures of this event, and am dying to make the trip myself! I had no idea they had anything like this in Vegas, let alone anywhere in the U.S. How amazing this must have been! I wish I'd known about it! Putting on my bucket list!!! 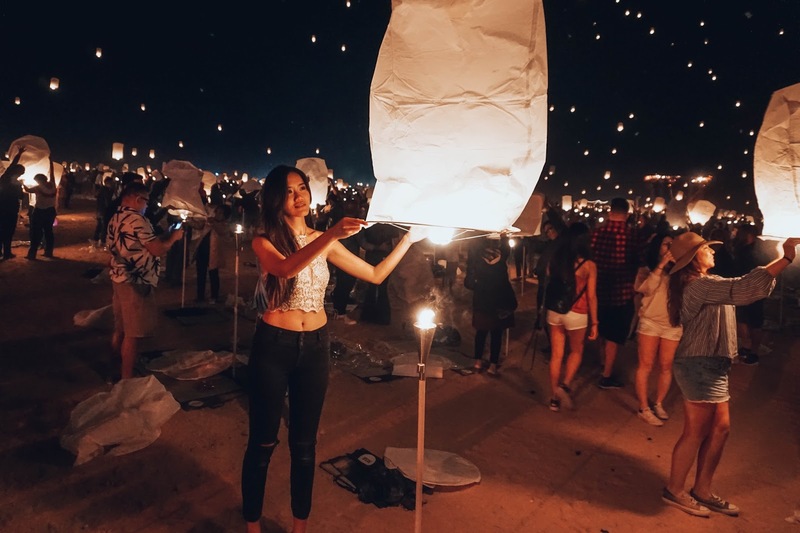 I love lantern festivals. 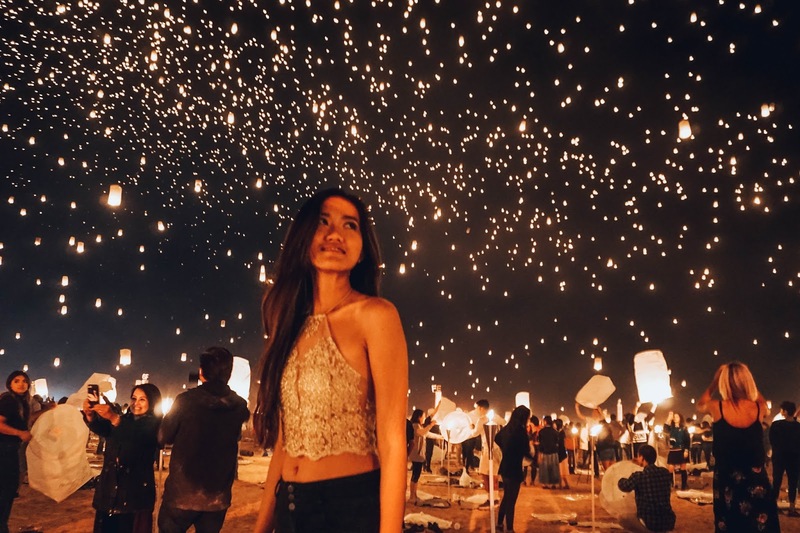 Seeing too much lanterns floating in the sky, its enchanting. Sure you had a great time.